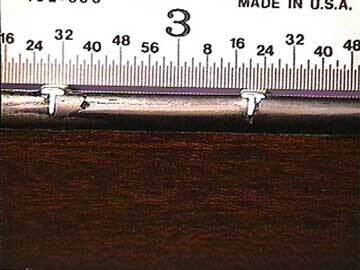 Somewhere near here, there's a shop where frets get filed really low in an attempt to improve playability. I don't know who does the work, but I do see the results from time to time. 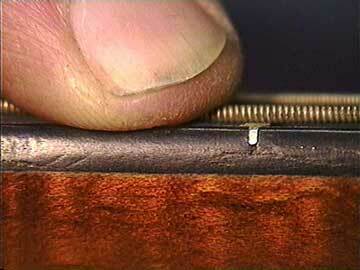 Notice how my finger "bottoms out" on the wood of the fingerboard as I press down on the string. Because the fret is so low, I have to press really hard to get contact. Even then, if I play hard, I get a buzz. I can get full contact without even touching the fingerboard with my finger. That way all my fretting effort goes to holding the string tight against the fret. No question about it, there's less buzzing here! 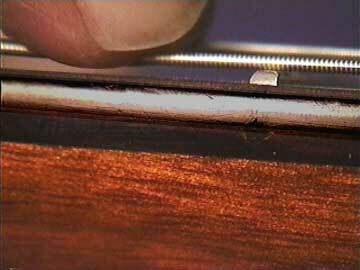 The "cure" for low frets is replacement. 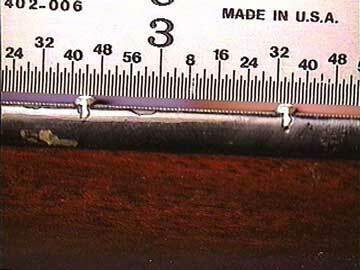 Refretting an instrument with low frets gives the player a feeling of low action without lowering the strings because it's so much easier to get good contact.